Whipped up some Christmas cupcakes the other day and "tried" to make them look like semi ornaments that could be on a tree. Ever since I bought a mini cupcake pan I always come up with an excuse to make them all the time. 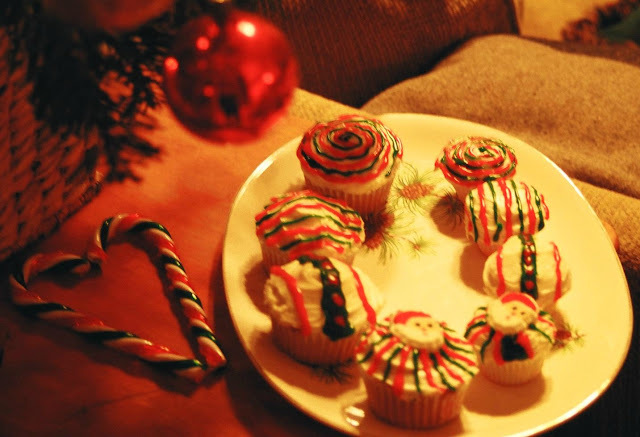 I think the mini cupcakes are just so cute, so I paired my Christmas cupcakes with big and mini ones. Goodness, these are just adorable and so festive! I'm the worst baker ever, you did such a lovely job decorating!